Jose Martinez (left) fights for medical-marijuana laws for people like South Jersey's Tuffy and Ricardo Rivera. Tuffy suffers from an extreme form of epilepsy that led doctors to say she would die before she turned 9. Her 10th birthday is approaching. Imagine you enlisted in the U.S. Army in your early 20s as a last-ditch effort to turn your life around. It’s March 3, 2012, in Afghanistan. You step on an improvised explosive device. Your right leg is immediately blown away. Your left leg and right arm are attached, but dangling. Your guts are hanging out. Your mind is still recording all of this for memory posterity, and the primary thought that comes to mind is this: “I’m ready to die. They know it. I know it.” You wanted it all to be a dream, even when you woke up from a coma 10 days later. You still remember feeling your sergeant’s tears falling on your face when he pulled the sheet off of what remained of your body. Welcome to 28-year-old Jose Martinez’s life. Imagine you’re shaving in your bathroom one morning, and look over at your 9-month-old daughter, who had been developing just fine according to developmental signposts. She’s crawling, rolling, even trying to talk. It was more than eight years ago when you noticed that her face just started twitching. She just looks at you, but what you see scares the hell out of you. You suspect it’s a seizure, even though you don’t know what seizures look like, so you rush her to the hospital. By the point the 200th seizure kicks in, they offer a diagnosis: A severe form of epilepsy called Lennox-Gastaut Syndrome, and your daughter won’t live to see her 9th birthday. Welcome to Ricardo and Tatyana “Tuffy” Rivera’s life. 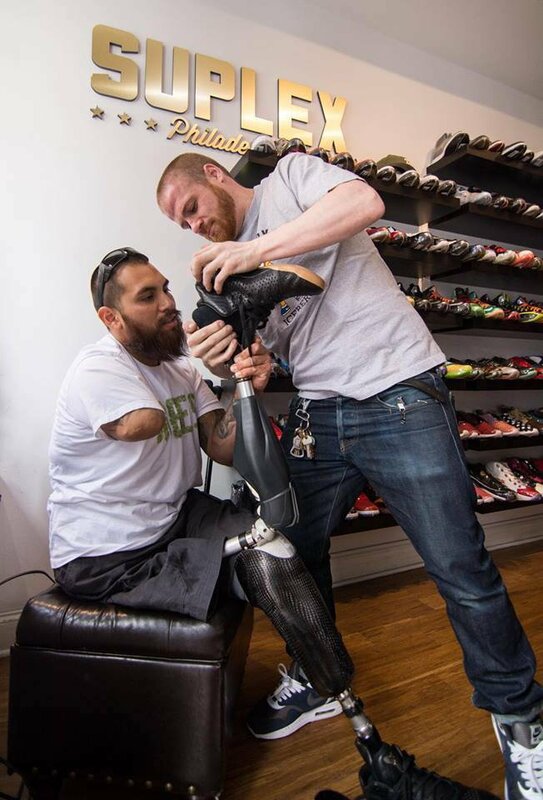 Their stories are disparate, but there’s a reason why the direct-talking, bearded amputee from southern California and the inspired father and his diagnosis-defying daughter from southern New Jersey were sitting in a South Philadelphia living room last week sharing their life experiences with PhillyVoice. They served as living embodiments of those saved by medical marijuana, to testify that it should be made more readily available to countless others who need it just as badly as they did and declare that they were on a mission to ensure that happens. Over the course of a 90-minute chat at local marijuana activist Nikki Allan Poe’s house, with Pennsylvania Veterans for Medical Marijuana founder Mike Whiter there as well, the cohort shared vignettes about how the drug has helped them face the seemingly insurmountable odds that life threw their way. For Martinez – who battled opiate addiction while trying to put his life back together – marijuana is his only remedy for pain that never relents. For the Riveras, marijuana oil became an elixir drastically reducing the number of seizures suffered, along with allowing Tuffy to rejoin a world from which noises or the sun itself would send her reeling. In other words, according to Ricardo, a life governed by a need for seclusion had been restored. “I knew I was going to have to take extreme measures to save my daughter’s life,” said Rivera, a surgical technician in South Jersey. That’s not to say Rivera thinks the law in New Jersey – where he and the family live – is ideal. He has to make the seizure-limiting oil on his own from the medical marijuana he gets. But it’s still better than the alternative. 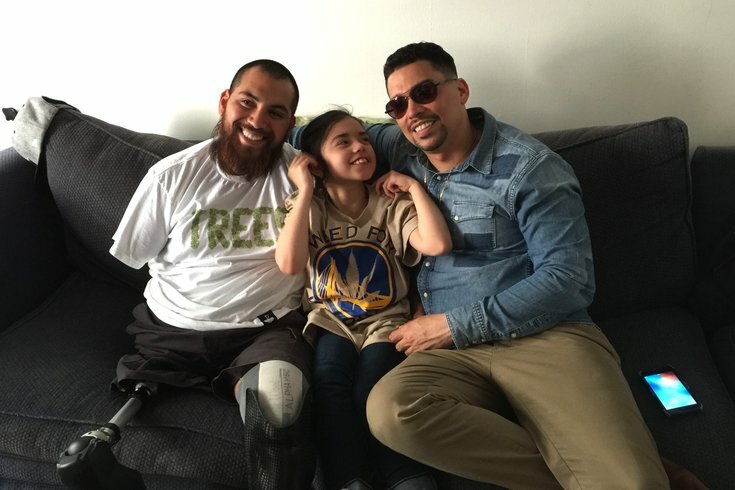 By living in California, Martinez does not face the same challenges, but that hasn’t stopped him from becoming an unlikely face of a movement. He grew up in Compton and – by his estimation – led a life that should have put him in a grave before he turned 20. He said he was taking about 100 to 150 pills a day – “I say that much because I’d get containers and just unload until my stomach told me to stop,” he said – and tried to commit overdose-suicide three times. “Before I joined the military, I was a piece of s---. I joined because I wanted to change that. I wanted to become someone civilized. When I tried doing that, my world changed. I was just ready to let go. I guess my brain wasn’t because I kept waking up,” he said. “I went from being a statue of a god – women loved me, I loved women – into a different state of mind. His forced detox led him to discover that cannabis was key to pain management. Pain is ever-present, considering nerves weren’t cut off when his limbs were surgically closed. It’s also led him to the forefront of an effort. “I’m still here for a reason, and that reason is someone like Tuffy, or my brothers and sisters [in the military] committing suicide or on the verge of thinking their lives are over, because they aren’t,” he said. “I thought mine was, but it was honestly just getting started. In fact, Martinez was in town last week to accompany Poe and Whiter to the National Cannabis Festival in Washington, D.C.
To this group, the ultimate change would be decriminalization across the board, so someone who suffered Martinez’s fate in any state could have access to marijuana, and all parents in Rivera’s situation would be able to get the oil they need instantly, instead of fighting for several perilous years. In both situations, they suspect the medications they were given in hospitals did not help even moderately close to the level that marijuana does, but the group maintains politicians are loathe to take up the cause because of Big Pharma’s role in American politics. “As a father watching your child die, and there’s someone who has the power to help you try to correct that but doesn’t, it gets you mad. I sent emails, hand-written letters pouring my heart out, trying to get help,” Rivera explained of instances of short-tempered reactions during the political debate surrounding medical marijuana. “I knew I had to fight for this, not just for her but for other children like her. One victory would be getting marijuana reclassified from a Schedule I drug to Schedule II, which would open the door for medical research. Another would be commonwealth-wide decriminalization, which would make implementation go much smoother, in their estimation.